The most visited destinations in Kerala, such as Cochin, Alleppey, Kovalam and Munnar are popular for a reason, but they do get crowded with other tourists. If you are feeling adventurous and would like to see another side of Kerala, this new series Quiet Alternatives highlights off the beaten track places to visit in Kerala. The first in the series looks at alternatives to Munnar, Kerala a beautiful but often crowded hill station. Although you won’t compromise on amazing views or experiences, these alternative places may be more difficult to reach and the standard of accommodation lower. It’ll be worth it though when you have the place to yourself. 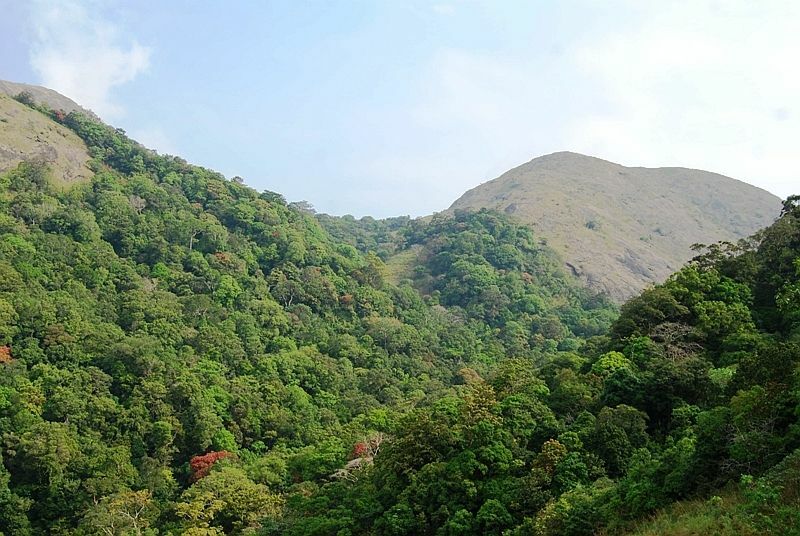 Nelliampathy is a much quieter alternative to the hill station Munnar. It sees far fewer tourists but still has amazing views of the lush green hills, a cool climate, tea and spice plantations to visit, beautiful waterfalls and great hiking. The winding mountain road to get here is one of the most scenic journies in Kerala. Although there isn’t a huge range of accommodation, there are some lovely homestays and prices are much lower than in Munnar. How to get here: Nelliampathy is located 75km south of Palakkad from where you can get a bus via Nemmara. From Cochin you can take a bus to Thrissur and onwards to Nemmara. If you have limited time consider hiring a car and driver. Where to stay: Options include Ciscilia Heritage with simple rooms in a beautiful, secluded plantation setting; or the more upmarket Whistling Thrush Bungalow. You can also ask at the NTPC tourist office in the town for details of homestays. Here’s a detailed trip report from a visitor to Nelliampathy on India Mike. 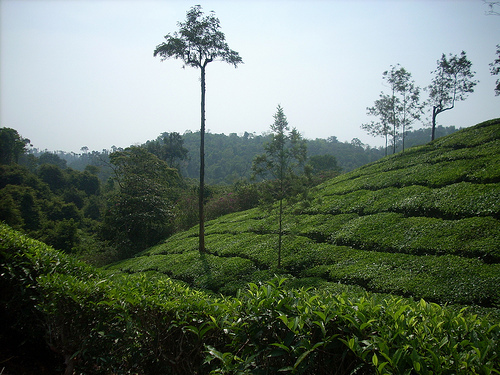 The hill district of Wayanad is one of the most beautiful regions of Kerala. The area is spread over an altitude of 750m – 2100m with varied landscapes including rice paddies, grasslands, spice and tea plantations, and jungle-covered mountains. The main attraction of Wayanad is the Tholpetty Wildlife Sanctuary but it’s also a great destination for travellers looking for a peaceful hill retreat to enjoy magnificient views and hikes, without Munnar’s crowds. You can base yourself in the main town Kalpetta, or the even quieter hill stations Vythiri or Lakkidi. Sights to visit include plantations, waterfalls, prehistoric caves, a hike up 2100m Chembra Peak or plenty of gentler hikes. How to get here: Kalpetta is a 70km two hour bus ride east of Kozhikode (Calicut) in Northern Kerala. You can also reach here from Kannur, Ooty or Mysore. Where to stay: There are plenty of upmarket resorts and quality homestays in the area, often in quite isolated areas. Two good choices are Ente Veedu a small homestay on a spectacular plantation and Stream Valley Cottages, a peaceful resort with secluded cottages in a beautiful setting. The next in the Quiet Alternatives Series looks at off the beaten track alternatives to Periyar Wildlife Sanctuary. Subscribe for free updates by RSS , email or facebook so you don’t miss any future posts. This entry was posted on Sunday, January 31st, 2010 at 3:00 pm	and is filed under Kerala India Travel, Munnar Kerala, Off the Beaten Track in Kerala. You can follow any responses to this entry through the RSS 2.0 feed. Both comments and pings are currently closed. ‘polythene” tourists. It has one of the most amazing view points overlooking the Pallakad valley. And the ride to that point can put many an adventure activities to shame! To make the experience incredible, one must combine this with a trip to the “Silent Valley”- again with Pallakad as a base. Good to find you.Quiet alternatives are right up my alley so thank you very very much.Keep up the great work.